Make it: In a blender, combine cottage cheese and honey until smooth. 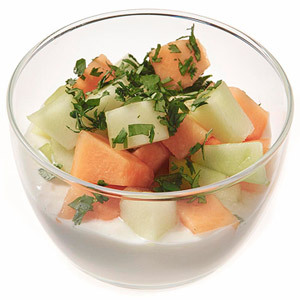 Top with melon and mint. PER SERVING: 289 cal., 3 g total fat (2 g sat. fat), 39 g carb. (2 g fiber), 30 g pro.